Welcome to Week 2, Day 1 of the EBOOST Fitness Holiday Challenge! How did your first week of this challenge go? It is important, to be honest with yourself and see if there are areas in which you can improve. If you think there may be something(s), write them down and hold yourself accountable this week! access to a gym will be easiest but you can do these exercises at home with household objects or a set of dumbbells too. Find a bar that is a couple feet taller than you. You should be able to reach your arms up and not quite be able to grab the bar from standing on the ground. Jump up and grab the bar. Hold the bar in an overgrip position with your hands out a bit wider than shoulder width. Brace your core, keeping your core nice and tight and pull yourself up until your chest reaches the bar. 3 Sets of 5-15 repetitions with a 30-second rest between sets. 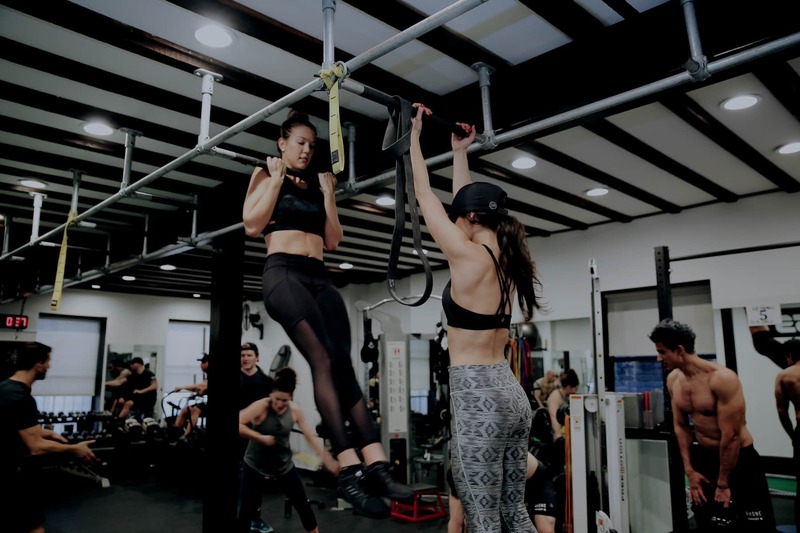 Modification: Jumping Pull-ups, Chin Ups, or Chin over bar pull-ups. Stand with your feet shoulder-width apart with your weight in your heels. Place your hands on the floor directly in front of, and just inside, your feet. Shifting your weight into your hands jump your feet back to softly land on the balls of your feet in a plank position. Your body should form a straight line from your head to heels like that of your plank position. Lower your chest down to the ground as if you were doing a push-up. Then press your body back up into a plank position while trying to keep your body straight. Reach your arms overhead, explosively jump up into the air and clap your hands. 3 Sets of 15 repetitions with a one-minute rest between sets. 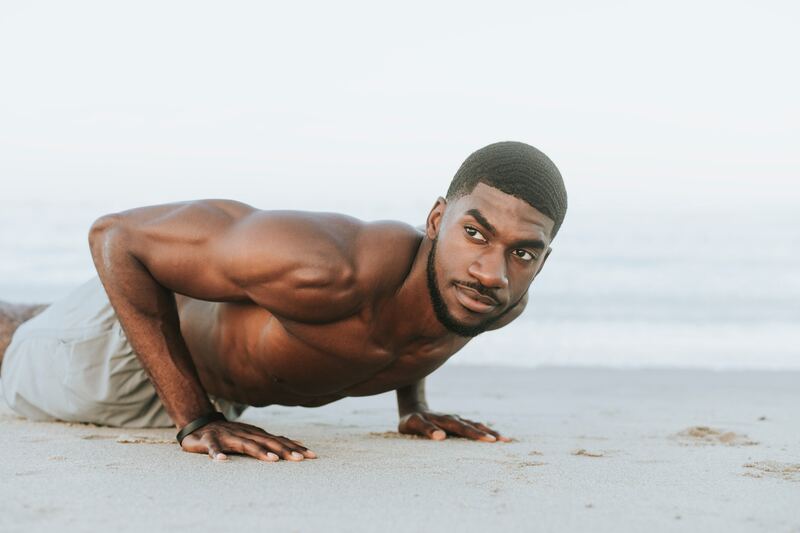 Modification: Instead of jumping your feet back into the plank position, walk your feet back, drop to your knees for your push-up and then walk your feet back to the squat position. You can eliminate the jump too. Challenge yourself: Perform all 45 repetitions without the rests in between. Stand tall with your feet shoulder-width apart while holding a barbell (you can use a kettlebell or dumbells too or whatever you have around the house that is a challenging weight) with a narrow overhand grip and arms straight in front of you but touching your body. Keeping your chest up and core braced, pull the bar upwards towards your face, leading with your elbows until your elbows can’t go any higher. Hold for a moment and then lower it back to the start. 3 Sets of 15 repetitions with a 30-second rest between sets. Modification: Do the exercise without any weight in your hands. 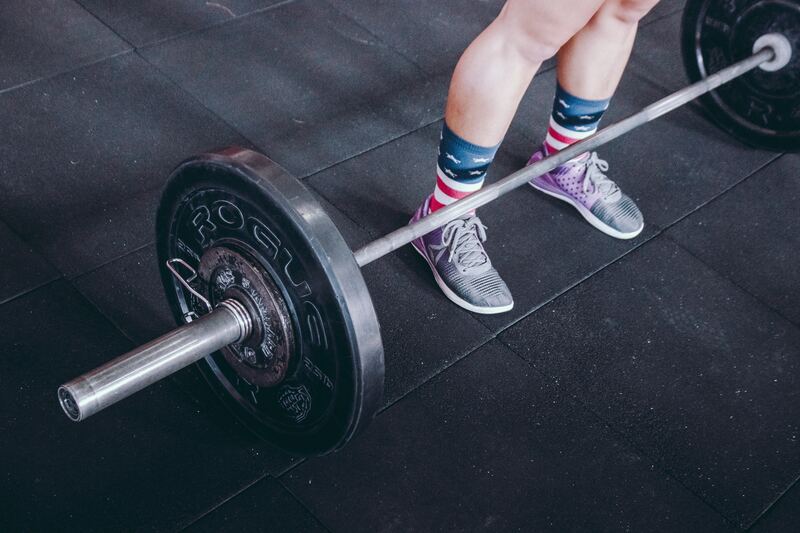 Challenge yourself: Change this exercise into a Sumo Deadlift High Pull. Stand tall holding keeping your hips and ribs tucked in hold a heavier dumbbell in your hands over your head, keeping your arms straight. Keeping your chest up, core braced and elbows pointing up, lower the weights behind your head by keeping your elbows glued to your ears. Head back to your pull-up bar and hang from it with a shoulder width overhand grip. The legs should be straight down with the pelvis rolled slightly backward. Now exhale and begin to raise your legs while keeping them straight and engaging your abs until your torso makes a 90-degree angle with the legs. Then slowly lower your legs back down to starting position and you inhale. 3 Sets of 10 repetitions with a one-minute rest between sets. Modification: Tuck in your Knees or perform sit-ups instead. Challenge yourself: Perform the leg raises on a dip bar or place a dumbbell between your feet. Start face down on the floor resting on your toes and knees, like in a low plank position. With a flat back, use your elbows to pull your body forward, then press with your feet to come back to your starting position. 3 sets of 20 repetitions with a one-minute rest between sets. Modification: Drop down to your knees or perform fewer reps. Challenge Yourself: Hold yourself in a plank for one minute before performing the body saw.